Dimensions: 46 x 20.7 x 12 cm approx. 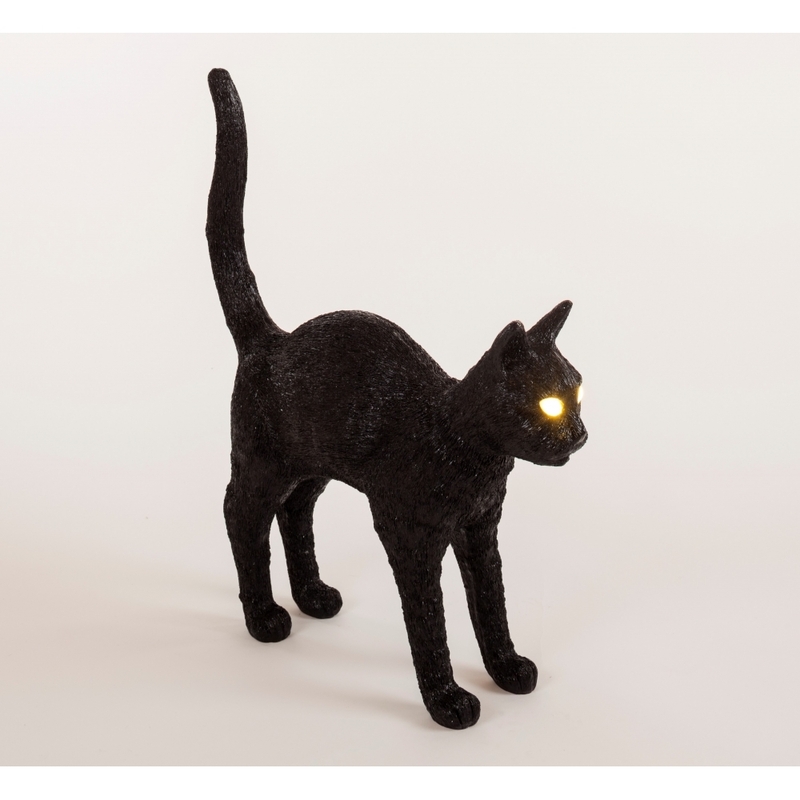 Sure to attract attention, this quirky standing Black Jobby The Cat Lamp Light by Studio Job & Seletti features a distinctive and original design. This cat can be teamed with a white or black and white Jobby the cat light to create a visually impressive set. The striking table/floor lamp would make a real statement piece in a room and would suit many homes and interiors. Presented in a Seletti box, this lamp would make an ideal gift.